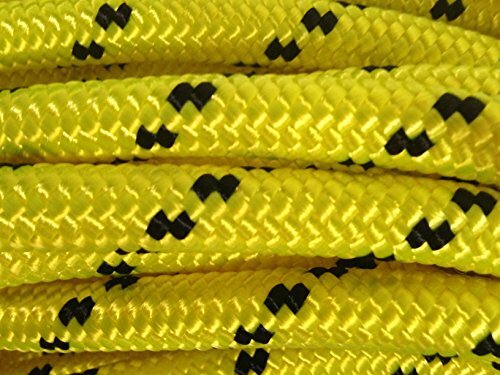 This is 100 feet of brand new 1/2" double braided polyester arborist rope. Excellent line for tree rigging/pulling. This rope is tightly braided for abrasion resistance. About 7,000 pounds tensile strength. Color is neon yellow with black tracers. Made in the USA. If you have any questions about this product by Blue Ox Rope, contact us by completing and submitting the form below. If you are looking for a specif part number, please include it with your message. By T.W . Evans Cordage Co.